This surveillance study was conducted simultaneously at three centres across India. A total of 13,610 test samples from various sites were obtained. Microbiological methods employed were similar at the three centres. Identification of S aureus was based on the recognition of the production of coagulase with positive isolates being recorded as S aureus. Both tube coagulase tests and slide coagulase test were performed. Antimicrobial susceptibility testing of the isolated strains of staphylococcus aureus and staphylococcus epidermidis to various antimicrobial discs were carried out according to standardized disk diffusion method recommended by NCCLS. Of the total 739 cultures of S aureus, 235 (32%) were found to be multiply resistant with the individual figures for resistance being 27% (Bombay), 42.5% (Delhi) and 47% (Bangalore). MRSA is emerging to be a significant problem pathogen in the surgical setting with vancomycin probably the only reliable choice for these infections. 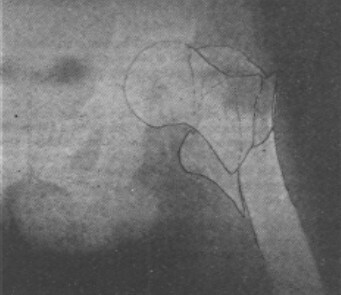 Osteotomy has been used in treatment of unstable intertrochanteric hip fractures in an attempt to increase the stability of the fracture fragments. We have assessed this stability in a randomised prospective study on 138 patients, all having been fixed by dynamic hip screen, comparing anatomical reduction with medialisation osteotomy. The groups were similar in terms of age, gender and fracture configuration. There was no difference in final results in both groups except that operation time was longer in osteotomy group and the blood loss was more. We found no clear benefit from osteotomy and therefore recommend anatomical reduction and fixation by a sliding hip screw in most cases. Rarely, a fracture configuration which does not allow anatomical reduction may benefit from an osteotomy. Acute hemodynamic effects of high flow oxygen (O2) inhalation, sublingual isosorbide dinitrate (ISDN), intravenous aminophylline (AMN) and sublingual nifedipine (NIF) were studied in 32 patients with primary pulmonary hypertension (PPH). In 30 out of 32 patients the basal ratio of pulmonary to systemic vascular resistance (Rp/Rs) was > 0.5 (mean = 0.77 +/- 0.20). Oxygen caused significant decrease in the mean resistance ratio to 0.68 +/- 0.20 (p = 0.005). ISDN, AMN and NIF caused increase in the resistance ratio to 0.79 +/- 0.26; 0.78 +/- 0.26; and 0.80 +/- 0.23 respectively. O2, ISDN, AMN and NIF caused a fall of Rp/Rs in 21 (65.6%), 10 (31.2%), 10(31.2%) and 9(28.1%) patients respectively. Thus, of the four drugs tested high flow O2 inhalation resulted in fall of Rp/Rs in two thirds of patients whereas ISDN, AMN and NIF caused a mean rise in Rp/Rs. One third of patients did respond acutely to the latter three drugs. Acute hemodynamic studies are useful before prescribing vasodilators in patients with PPH since more of the commonly used drugs like ISDN, AMN, NIF could have detrimental hemodynamic responses in some patients. However, great caution should be exercised before performing hemodynamic study as the procedure has definite mortality and morbidity. Stress is known to depress the immune system severely. This study was done to evaluate whether surgical stress influenced polymorphonuclear (PMN) and monocyte functions in association with serum cortisol and the anxiety score as measured on the HARS Rating Scale. We found that surgery (irrespective of whether it was major or minor) significantly depressed PMN and monocyte functions and increased serum cortisol levels. PMN phagocytosis correlated significantly (p < 0.05) with the rise in serum cortisol. In spite of these changes, postoperative clinical recovery was uneventful. No major alterations in the HARS scores were noted pre and post operatively. This study demonstrates that surgical stress depresses the immune system with a concomitant rise in cortisol. This report details the management of a newborn with nesidioblastosis who underwent a 95% pancreatectomy under general anaesthesia. The baby presented with hypoglycemic convulsions, due to hyperinsulinism, and was treated with 12.5% dextrose infusions, glucagon and anticonvulsants. Intraoperatively and postoperatively the baby remained hyperglycemic. A postoperative osmotic diuresis necessitated the use of insulin for brief period. The infant remained euglycemic and convulsion free, following discontinuation of the dextrose infusions and starting of oral feeds. Recovery was uneventful. 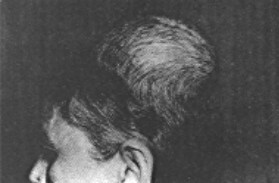 An interesting case of plasmacytoma of the scalp is described. Extramedullary plasmocytoma of scalp is rarely reported. This patient was treated with external radiotherapy dose of which was 40 Gy/20 fraction. Disease responded very well to radiotherapy. A homocystinuric child presented with a secondary pupillary block glaucoma due to anteriorly subluxated lens. 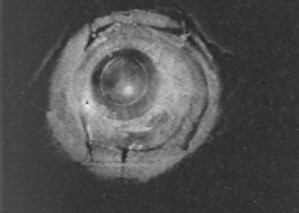 After removal of the subluxated lens, a suture supported posterior chamber IOL was implanted. 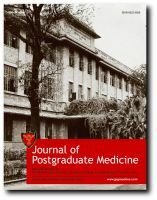 Postoperative complication of cerebral venous thrombosis following general anaesthesia was managed with high doses of pyridoxine special diet and drugs. 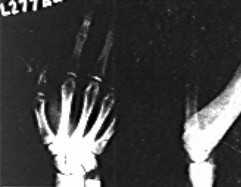 Two cases of posttraumatic irreducible compound dislocation of the interphalangeal joint of the thumb are presented. This rare injury requires surgical intervention with anatomic repositioning of the structures responsible for the irreducibility viz. the long Flexor tendon and the volar plate.